Shea Leitch brings wide-ranging experience and proven skills to her privacy and data protection practice. 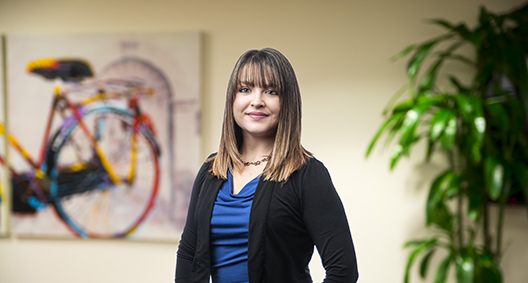 She serves as a reliable counsel for clients in an array of industries, who seek her insight on everything from the development of enterprise-wide privacy and security compliance programs, to targeted guidance on discrete privacy and security issues. With CIPP/US and CIPP/E certifications from the International Association of Privacy Professionals, Shea provides knowledge of privacy and cybersecurity issues whether the client faces a compliance challenge, a security incident, litigation, or a regulatory enforcement matter. Conducted data protection impact assessment on artificial intelligence tool for international recruiting company. Conducted interviews and workshops to create records of processing in compliance with Article 30 of the GDPR for international hospitality company and international recruiting company. Conducted consumer and attorney general security incident notice analysis for internet retailer and leading tech company. Advised on privacy program governance structure, privacy notice requirements and issues of GDPR territorial scope. Drafted privacy policies for non-profit organizations, hospitality company and app companies. Designed incident response plan for financial institution. Counseled multinational clients on effectuating permissible international data transfers and implementing appropriate safeguards. Evaluated agreements with third parties for potential GDPR compliance issues. Drafted data subject rights policies and procedures for various multinational clients.